From spiky Stegosauruses to speedy Velocirapotors, there's so much to see on Dinosaur Island! With a hidden baby T.Rex to find on every scene and fun facts to discover throughout, step inside for hours of entertainment. Fantastic spot book activities, combined with non-fiction settings, make for an informative and entertaining series. Interesting facts add further educational value to the books. Titles in the new Spot the... series include Spot the Monkey in the Jungle and Spot the Dinosaur on the Island. 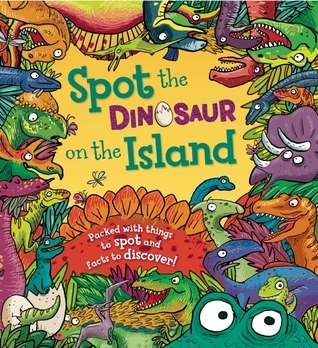 Spot the Dinosaur on the Island provides a colorful, interactive introduction to dinosaurs for young readers. Each double page spread highlights a different kind of dinosaur with a brief poem, followed by a brief list of five things to find on the two pages. In addition, there is a baby t-rex hidden on each spread for the reader to find. This is a series that is both highly entertaining and educational as well. The notes and craft suggestions at the end are a nice bonus. Take a trip to the jungle and see what you can spot with this great title! Fantastic spot book activities, combined with non-fiction settings, make for an informative and entertaining series. Look for hidden objects as you work your way through every spread, taking in all the detail. 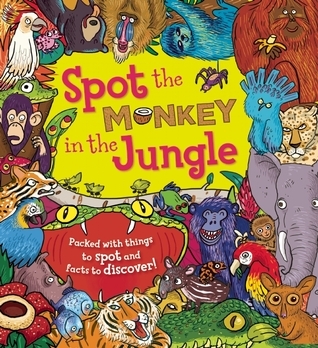 By engaging the reader to express their opinion, Spot The Monkey in the Jungle encourages children to develop and express their own point of view. Whilst each scene will help develop the reader's numeracy, this title will also improve literacy by introducing new adjectives on every spread. All the bright colorful animals mixed with fun facts and things to search for in the illustrations make this a fun interactive book for young readers. The baby monkey is especially fun to search for on each page. The craft suggestions and notes at the end are a nice addition for extension ideas.